Anyone who has ever tried to change the way medicine is practised knows that inertia makes it difficult to get buy-in from colleagues and administrators. Introducing a relatively familiar technology, like point-of-care ultrasound, into a broader hospital setting might not seem like a difficult task, but all procedural changes face some kind of resistance. In Germany, physicians at the Evangelisches Krankenhaus have been able to expand the application of POCUS through multiple wards using three methods. At Evangelisches Krankenhaus, this comes in the form of Dr. Wolf Armbruster, Head of Anaesthesia, Intensive Medicine and Pain Therapy. Dr. Armbruster was accustomed to working with physicians who might have had limited experience with POCUS. “Most doctors in other departments hadn’t had formal training on ultrasound; their training was on-the-job,” explains Dr. Armbruster. This can lead to some resistance in wider adoption of a technology like POCUS, but an enthusiastic leader usually finds ways to overcome any objections from follow clinicians. Developing a facility-wide policy for ultrasound usage is difficult if every department is using a different type of machine. Training for multiple machine brands and user interfaces can quickly spiral out of hand. That’s why “[i]t is easier to have systems from only one manufacturer, as there are fewer operating systems to learn.” Fortunately, Evangelisches Krankenhaus’s administration was quick to recognise that using the same types of systems across all departments could drastically reduce the complexity of clinician training. Although POCUS machines aren’t inexpensive, Dr. Armbruster believes that SonoSite’s ease of use made the machines attractive from a fiscal standpoint. “The hospital manager was able to see the trade-off between the cost of new machines and the ease of use. Also, the 5-year warranties played a large role in the decision to approve the ultrasound expansion project,” says Dr. Armbruster. Evangelisches Krankenhaus trained 72 doctors from different departments across the hospital to take full advantage of POCUS. Fortunately, Dr. Armbruster’s years of experience in POCUS provided the basis for much of the in-house materials that EK-Unna was tasked with developing. And what does that training look like? 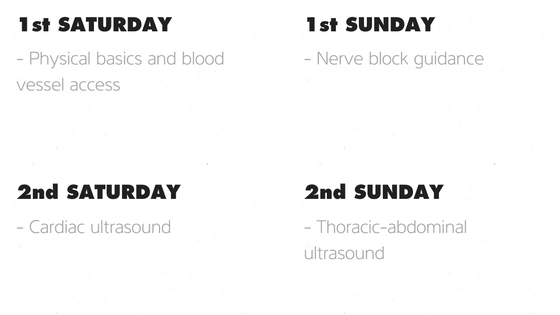 Want to read more about Dr. Armbruster and his POCUS Plan? Download our POCUS Expansion Germany case study here.